The Backstreet Boys have been signed up to front Old Navy's 'Rock Star' skinny jeans campaign. The recently reunited 1990s boyband spoke about their pairing with the iconic American denim brand. They gushed that the partnership was the perfect way to publicise the fact they are back recording music as a group again. Backstreet Boy Kevin Richardson explained how the commercials for the new range of jeans will feature the well-known track Everybody that the band released in their heyday. "Our song Everybody that's featured in the commercials says, Everybody rock your body, which relates to everybody, rock their body in Old Navy skinny jeans," Kevin explained to People. "It 's a great way to show people that we're back." This isn't the first time that Old Navy have used nostalgia to sell their clothing line. In August the brand released another blast from the past campaign which featured the cast from hit 1990s American TV series 90210. 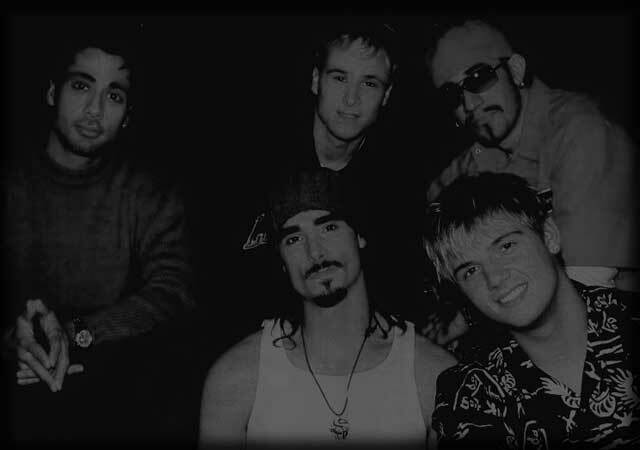 The original five members of the Backstreet Boys first appeared as a reunited group at the end of last month. For the first time in six years, Nick Carter, Brian Littrell, Howie Dorough, A.J. McLean, Kevin Richardson reunited professionally, for the Good Morning America Summer Concert series in New York's Central Park. The Backstreet Boys announced at the event that they are currently working on a new album to be released next spring to coincide with their 20th anniversary together. iyO9NG Thanks a lot for the post.Really looking forward to read more. Awesome.